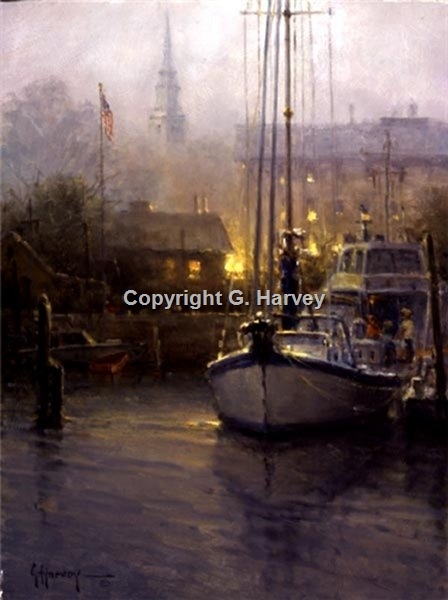 G. Harvey has always been impressed by the mood of New England harbors. The coast abounds with small, intimate harbors which are blanketed in fog and mist in the morning and again in the evening. But in the evening, the warm lights from buildings along the shore make the scene warmer and more inviting.